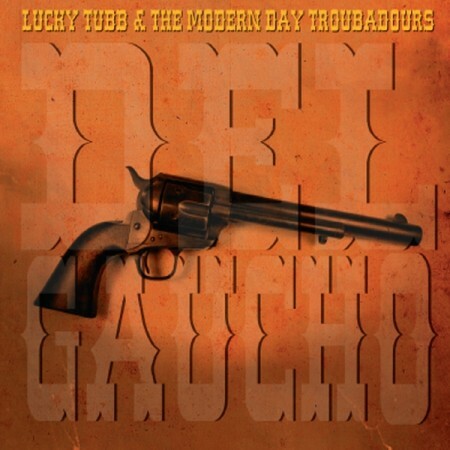 Lucky Tubb sets out to show the world what real country music is. What is played on the radio on “country” stations doesn’t match what Tubb is doing. If you want an idea of his style, pick up a Hank Sr. record and you will be on the right track. Tubb nails the old school country sound whether attacking heartbreak like on “Never Shoulda Fell In Love” the gentle swing of “Bachelor Man” or straight up rockabilly on “Cowtown Boogey.” The ghostly haunting of “Heard Your Name” name-drops contemporaries and heroes of Tubb while still maintaining an interesting story and a strange vibe. A nice weaving of heartbreak, rockabilly and vintage twang make Lucky Tubb one of the few country artists still making real country music. This entry was posted in Album at a glance and tagged album at a glance, album review, Bachelor Man, Lucky Tubb, record, The Modern Day Troubadours. Bookmark the permalink.